A-1 Radiator Repair saves time and money by regenerating your Diesel Particulate Filter (DPF) to 90+% of original capacity. Our DPF cleaning service is a two-stage process. At the end of this process you will be provided a report containing details of your DPF’s weight (grams of soot removed) and the vacuum reading at each stage. Our state of the art Diesel Particulate Filter cleaning system uses what is known as “Dual Force” technology where compressed air and intense vacuum is used simultaneously to push from the top and pull from the bottom to force the contaminated soot from the filter cells. Each filter has a different “flow pattern” on where the exhaust enters the DPF while working on the vehicle. These flow patterns can create more soot concentration in specific areas of the filter. During the Tier I cleaning, our system allows us to work on the problem areas until they are clean. Automated systems cannot recognize the problem areas and often pass over them, leaving them plugged. With the combined compressed air and intense vacuum working in sequence, there is no other DPF Cleaning System that will clean a Diesel Particulate filter the way this system can. 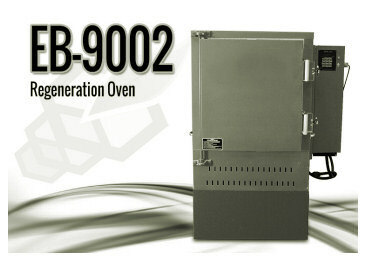 Our regeneration ovens are designed to facilitate the cleaning process of plugged filters. In some cases a filter may need to be baked due to amounts of wet soot, unburned hydrocarbons and must be baked in order to regenerate the soot to ash that cannot be effectively removed during the Tier I cleaning. The oven is programmed to ramp up the temperature at a rate that will not damage the substrate of the filters. With the oven’s “smart technology”, it will monitor the DPF during the regeneration process making sure there is no uncontrolled regeneration to the filter. 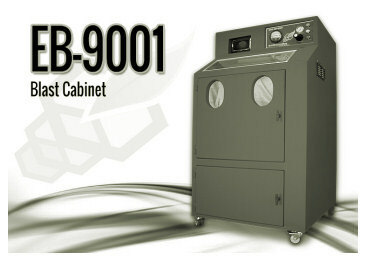 As the oven temperature increases the DPF will start its own regeneration process. If the temperature gets too high from the regeneration of the DPF, the oven will “pause” until the DPF temperature drops and has stopped its own regeneration. The oven will then continue its cycle until finished.